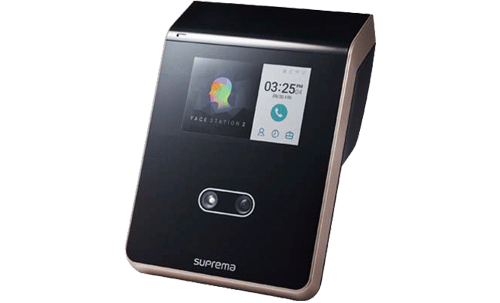 Prox Access uses the most advanced face recognition terminal providing loads of the world’s best features. .
With latest innovation in facial biometrics, our face recognition terminal offers unrivalled matching speed, accuracy and level of security. With a patented optic engineering, our face recognition terminal achieves up to 25,000 lx of operating illuminance which in turn, brings all-round confidence regardless of lighting conditions. Packed in an ergonomically-designed structure, the terminal provides exceptional performance and usability for diverse access control and time attendance sites, for offices & residential buildings large or small. Powered by the latest face recognition algorithm and range-leading 1.4GHz quad-core CPU, the terminal provides the world’s fastest matching speed of up to 3,000 match/sec. 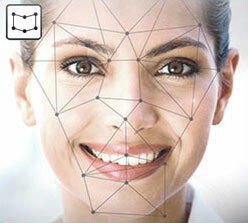 Our Facial Recognition Terminal offers a massive memory capacity to manage largest number of users in its class. A single unit can accommodate up to 30,000 users, 50,000 face image logs and 5,000,000 text logs. High quality face image logs. 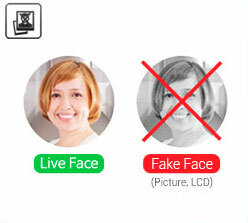 Infra-red based fake face blocking technology. The terminal allows the greatest height range of 145cm ~ 210cm. On its wide touchscreen LCD, the terminal offers industry’s most intuitive graphic user interface. Thanks to the latest Android 5.0 OS, the terminal features latest material design concept to provide extremely easy to use GUI requiring near-zero training for both users and system administrators.